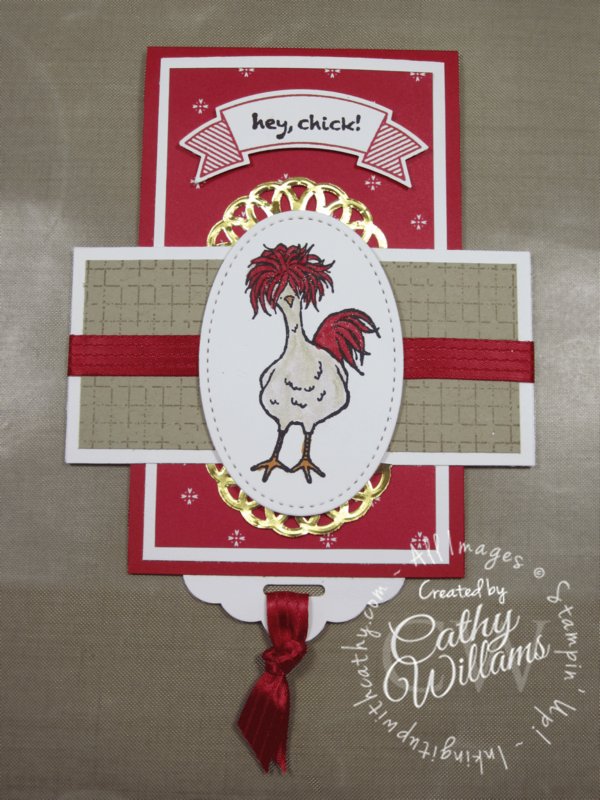 Inking It Up With Cathy: Tippin' on Tuesday - Hey Chick! I know that this adorable stamp set is not available now that Sale-A-Bration 2017 is over (how sad is that?!) 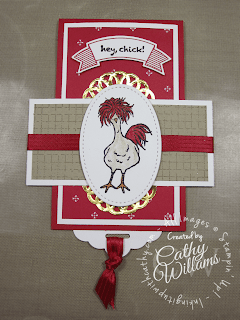 but I just had to show you this card that I made using the stamp set. I hope you nabbed this stamp set while it was available for free because it is too cute! 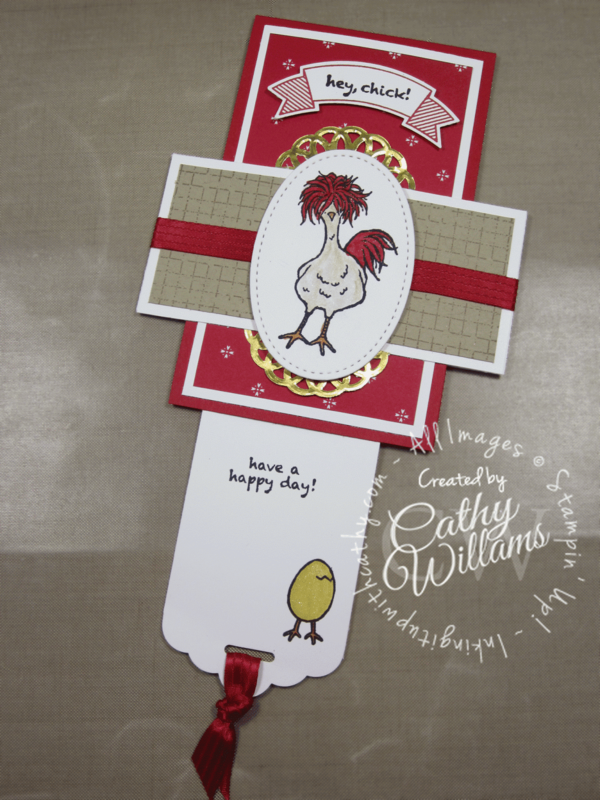 The card measures the standard card size of 4 1/4" x 5 1/2" - it just has some missing from the sides! 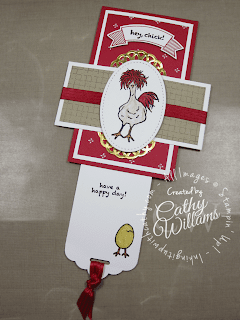 The pull tab slides down to show your sentiment and the little egg - almost like the chicken laid the little egg, don't you think? If you have signed up for receiving my posts via email, click on the link HERE to see the video or visit my blog for the full blog post.